The State of India (Portuguese: Estado da Índia), also referred as the Portuguese State of India (Estado Português da Índia, EPI) or simply Portuguese India (Índia Portuguesa), was a state of the Portuguese Overseas Empire, founded six years after the discovery of a sea route between Portugal and the Indian Subcontinent to serve as the governing body of a string of Portuguese fortresses and colonies overseas. The first viceroy, Francisco de Almeida, established his headquarters in Cochin (Cochim, Kochi). Subsequent Portuguese governors were not always of viceroy rank. After 1510, the capital of the Portuguese viceroyalty was transferred to Goa. Until the 18th century, the Portuguese governor in Goa had authority over all Portuguese possessions in the Indian Ocean, from southern Africa to southeast Asia. In 1752 Mozambique got its own separate government and in 1844 the Portuguese Government of India stopped administering the territory of Macau, Solor and Timor, and its authority was confined to the colonial holdings on the Malabar coast of present-day India. 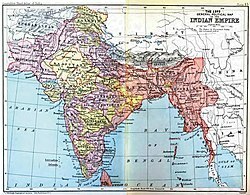 At the time of the British Indian Empire's dissolution in 1947, Portuguese India was subdivided into three districts located on modern-day India's western coast, sometimes referred to collectively as Goa: namely Goa; Daman (Portuguese: Damão), which included the inland enclaves of Dadra and Nagar Haveli; and Diu. Portugal lost effective control of the enclaves of Dadra and Nagar Haveli in 1954, and finally the rest of the overseas territory in December 1961, when it was taken by India after military action. In spite of this, Portugal only recognised Indian control in 1975, after the Carnation Revolution and the fall of the Estado Novo regime. The first Portuguese encounter with the subcontinent was on 20 May 1498 when Vasco da Gama reached Calicut on Malabar Coast. Anchored off the coast of Calicut, the Portuguese invited native fishermen on board and immediately bought some Indian items. One Portuguese accompanied the fishermen to the port and met with a Tunisian Muslim. On the advice of this man, Gama sent a couple of his men to Ponnani to meet with ruler of Calicut, the Zamorin. Over the objections of Arab merchants, Gama managed to secure a letter of concession for trading rights from the Zamorin, Calicut's Brahman ruler. But, the Portuguese were unable to pay the prescribed customs duties and price of his goods in gold. Later Calicut officials temporarily detained Gama's Portuguese agents as security for payment. This, however, annoyed Gama, who carried a few natives and sixteen fishermen with him by force. Nevertheless, Gama's expedition was successful beyond all reasonable expectation, bringing in cargo that was worth sixty times the cost of the expedition. Pedro Álvares Cabral sailed to India, marking the arrival of Europeans to Brazil on the way, to trade for pepper and other spices, negotiating and establishing a factory at Calicut, where he arrived on 13 September 1500. Matters worsened when the Portuguese factory at Calicut was attacked by surprise by the locals, resulting in the death of more than fifty Portuguese. Cabral was outraged by the attack on the factory and seized ten Arab merchant ships anchored in the harbour, killing about six hundred of their crew and confiscating their cargo before burning the ships. Cabral also ordered his ships to bombard Calicut for an entire day in retaliation for the violation of the agreement. In Cochin and Cannanore Cabral succeeded in making advantageous treaties with the local rulers. Cabral started the return voyage on 16 January 1501 and arrived in Portugal with only 4 of 13 ships on 23 June 1501. Vasco da Gama sailed to India for a second time with 15 ships and 800 men, arriving at Calicut on 30 October 1502, where the ruler was willing to sign a treaty. Gama this time made a call to expel all Muslims (Arabs) from Calicut which was vehemently turned down. He bombarded the city and captured several rice vessels. He returned to Portugal in September 1503. On 25 March 1505, Francisco de Almeida was appointed Viceroy of India, on the condition that he would set up four forts on the southwestern Indian coast: at Anjediva Island, Cannanore, Cochin and Quilon. Francisco de Almeida left Portugal with a fleet of 22 vessels with 1,500 men. On 13 September, Francisco de Almeida reached Anjadip Island, where he immediately started the construction of Fort Anjediva. On 23 October, with the permission of the friendly ruler of Cannanore, he started building St. Angelo Fort at Cannanore, leaving Lourenço de Brito in charge with 150 men and two ships. Francisco de Almeida then reached Cochin on 31 October 1505 with only 8 vessels left. There he learned that the Portuguese traders at Quilon had been killed. He decided to send his son Lourenço de Almeida with 6 ships, who destroyed 27 Calicut vessels in the harbour of Quilon. Almeida took up residence in Cochin. He strengthened the Portuguese fortifications of Fort Manuel on Cochin. The Zamorin prepared a large fleet of 200 ships to oppose the Portuguese, but in March 1506 Lourenço de Almeida (son of Francisco de Almeida) was victorious in a sea battle at the entrance to the harbour of Cannanore, the Battle of Cannanore, an important setback for the fleet of the Zamorin. Thereupon Lourenço de Almeida explored the coastal waters southwards to Colombo, in what is now Sri Lanka. 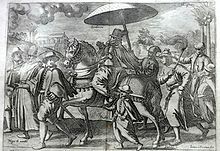 In Cannanore, however, a new ruler, hostile to the Portuguese and friendly with the Zamorin, attacked the Portuguese garrison, leading to the Siege of Cannanore. In 1507 Almeida's mission was strengthened by the arrival of Tristão da Cunha's squadron. Afonso de Albuquerque's squadron had, however, split from that of Cunha off East Africa and was independently conquering territories in the Persian Gulf to the west. In March 1508 a Portuguese squadron under command of Lourenço de Almeida was attacked by a combined Mameluk Egyptian and Gujarat Sultanate fleet at Chaul and Dabul respectively, led by admirals Mirocem and Meliqueaz in the Battle of Chaul. Lourenço de Almeida lost his life after a fierce fight in this battle. Mamluk-Indian resistance was, however, to be decisively defeated at the Battle of Diu. In the year 1509, Afonso de Albuquerque was appointed the second governor of the Portuguese possessions in the East. A new fleet under Marshal Fernão Coutinho arrived with specific instructions to destroy the power of Zamorin's of Calicut. The Zamorin's palace was captured and destroyed and the city was set on fire. The king's forces rallied to kill Coutinho and wound Albuquerque. Albuquerque relented and entered into a treaty with the Zamorin in 1513 to protect Portuguese interests in Malabar. Hostilities were renewed when the Portuguese attempted to assassinate the Zamorin sometime between 1515 and 1518. In 1510, Afonso de Albuquerque defeated the Bijapur sultans with the help of Timayya, on behalf of the Hindu Vijayanagara Empire, leading to the establishment of a permanent settlement in Velha Goa (or Old Goa). The Southern Province, also known simply as Goa, was the headquarters of Portuguese India, and seat of the Portuguese viceroy who governed the Portuguese possessions in Asia. There were Portuguese settlements in and around Mylapore. The Luz Church in Mylapore, Madras (Chennai) was the first church that the Portuguese built in Madras in 1516. Later in 1522, the São Tomé church was built by the Portuguese. They had also looted the treasures and destroyed the original Kapaleeswarar Temple. The Portuguese acquired several territories from the Sultans of Gujarat: Daman (occupied 1531, formally ceded 1539); Salsette, Bombay, and Baçaim (occupied 1534); and Diu (ceded 1535). These possessions became the Northern Province of Portuguese India, which extended almost 100 km along the coast from Daman to Chaul, and in places 30–50 km inland. The province was ruled from the fortress-town of Baçaim. In 1526, under the viceroyship of Lopo Vaz de Sampaio, the Portuguese took possession of Mangalore. The territory included parts of Dakshina Kannada and Udupi in Karnataka state, and Kasaragod in Kerala state (South Canara). Mangalore was named the islands of O Padrão de Santa Maria; later came to be known as St. Mary's Islands. In 1640, the Keladi Nayaka Kingdom defeated the Portuguese. Shivappa Nayaka destroyed the Portuguese political power in the Kanara region by capturing all the Portuguese forts of the coastal region. Bombay (present-day Mumbai) was given to Britain in 1661 as part of the Portuguese Princess Catherine of Braganza's dowry to Charles II of England. Most of the Northern Province was lost to the Marathas of the Maratha Empire in 1739 when the Maratha General Chimnaji Appa defeated the Portuguese. Later Portugal acquired Dadra and Nagar Haveli in 1779. Goa was briefly occupied by the British from 1799 to 1813. In 1843 the capital was shifted to Panjim, then renamed Nova Goa, when it officially became the administrative seat of Portuguese India, replacing the city of Velha Goa (now Old Goa), although the Viceroys lived there already since 1 December 1759. Before moving to the city, the viceroy remodelled the fortress of Adil khan, transforming it into a palace. The Portuguese also shipped over many Órfãs d'El-Rei to Portuguese colonies in the Indian peninsula, Goa in particular. Órfãs d'El-Rei literally translates to Orphans of the King, and they were Portuguese girl orphans sent to overseas colonies to marry either Portuguese settlers or natives with high status. Thus there are Portuguese footprints all over the western and eastern coasts of the Indian peninsula, though Goa became the capital of Portuguese Goa from 1530 onward until the annexation of Goa proper and the entire Estado da Índia Portuguesa, and its merger with the Indian Union in 1961. After the end of British India in 1947 and the emergence of the Indian Union, the Indian government demanded the Portuguese hand over their colonies to the Union. Refusal would lead to a conflict. On 24 July 1954 an organisation called "The United Front of Goans" took control of the enclave of Dadra. The remaining territory of Nagar Haveli was seized by the Azad Gomantak Dal on 2 August 1954. The decision given by the International Court of Justice at The Hague, regarding access to Dadra and Nagar Haveli, was an impasse. From 1954, peaceful Satyagrahis attempts from outside Goa at forcing the Portuguese to leave Goa were brutally suppressed. Many revolts were quelled by the use of force and leaders extrajudicially murdered or jailed. As a result, India broke off diplomatic relations with Portugal, closed its Consulate-General in Panjim and demanded that Portugal close its Legation in New Delhi. 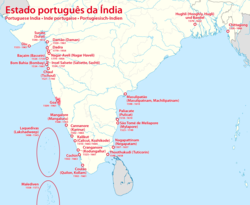 India also imposed an economic embargo against the territories of Portuguese Goa. The Indian Government adopted a "wait and watch" attitude from 1955 to 1961 with numerous representations to the Portuguese Salazar government and attempts to highlight the issue before the international community. To facilitate the transport of people and goods to and from the Indian enclaves, the Portuguese established an airline, Transportes Aéreos da Índia Portuguesa, and airports at Goa, Daman and Diu. Finally, in December 1961, India militarily invaded Goa, Daman and Diu, where regardless of the odds the Portuguese put up a fight. Portuguese armed forces had been instructed to either defeat the invaders or die. Only meager resistance was offered due to the Portuguese army's poor firepower and size (only 3,300 men), against a fully armed Indian force of over 30,000 with full air and naval support. The Governor of Portuguese India signed the Instrument of Surrender on 19 December 1961, ending 450 years of Portuguese rule in India. Dadra and Nagar Haveli existed as a de facto independent entity from its independence in 1954 until its merger with the Republic of India in 1961. Following the annexation of Goa, Daman and Diu, the new territories became Union Territories within the Indian Union as Dadra and Nagar Haveli and Goa, Daman and Diu. Maj. Gen. K. P. Candeth was declared as military governor of Goa, Daman and Diu. Goa's first general elections were held in 1963. In 1967 a referendum was conducted where voters decided whether to merge Goa into the neighbouring state of Maharashtra, which the anti-merger faction won. However full statehood was not conferred immediately, and it was only on 30 May 1987 that Goa became the 25th state of the Indian Union, with Dadra and Nagar Haveli, Daman and Diu being separated, continue to be administered as Union Territories. The most drastic changes in Portuguese India after 1961 were the introduction of democratic elections, as well as the replacement of Portuguese with English as the general language of government and education. However the Indians allowed certain Portuguese institutions to continue unchanged. Amongst these were the land ownership system of the comunidade, where land was held by the community and was then leased out to individuals. The Indian government left the Portuguese civil code unchanged in Goa, with the result that Goa today remains the only state in India with a common civil code that does not depend on religion. The Citizenship Act of 1955 granted the government of India the authority to define citizenship in the Indian union. In exercise of its powers, the government passed the Goa, Daman and Diu (Citizenship) Order, 1962 on 28 March 1962 conferring Indian citizenship on all persons born on or before 20 December 1961 in Goa, Daman and Diu. Portugal's Salazar government did not recognise India's sovereignty over the annexed territories, and established a government-in-exile for the territories, which continued to be represented in the Portuguese National Assembly. After 1974's Carnation Revolution, the new Portuguese government recognised Indian sovereignty over Goa, Daman and Diu, and the two states restored diplomatic relations. Portugal automatically gives citizens of the former Portuguese-India its citizenship  and opened a consulate in Goa in 1994. Kollam (originally Desinganadu, a prominent seaport in ancient India) became a Portuguese settlement; in 1519 they built a cemetery at Tangasseri in Quilon city. After a Dutch invasion, they also buried their dead there. The Pirates of Tangasseri formerly inhabited the cemetery. Remnants of this cemetery are still in existence today at Tangasseri. The site is very close to Tangasseri Lighthouse and St Thomas Fort, which are on the list of centrally protected monuments under the control of Archaeological Survey of India. Early postal history of the colony is obscure, but regular mail is known to have been exchanged with Lisbon from 1825 onwards. Portugal had a postal convention with Great Britain, so much mail was probably routed through Bombay and carried on British packets. Portuguese postmarks are known from 1854 when a post office was opened in Goa. The last regular issue for Portuguese India was on 25 June 1960, for the 500th anniversary of the death of Prince Henry the Navigator. Stamps of India were first used on 29 December 1961, although the old stamps were accepted until 5 January 1962. Portugal continued to issue stamps for the lost colony but none were offered for sale in the colony's post offices, so they are not considered valid stamps. Dual franking was tolerated from 22 December 1961 until 4 January 1962. Colonial (Portuguese) postmarks were tolerated until May 1962. Proposed flag for Portuguese India. ^ "Capital". myeduphilic. Retrieved 5 November 2017. ^ . The incident is mentioned by Camões in The Lusiads, wherein it is stated that the Zamorin "showed no signs of treachery" and that "on the other hand, Gama's conduct in carrying off the five men he had entrapped on board his ships is indefensible". ^ a b c d e f Logan, William (27 June 2018). "Malabar Manual". Asian Educational Services – via Google Books. ^ Archives, The National. "The Discovery Service". discovery.nationalarchives.gov.uk. ^ "Wayback Machine" (PDF). 22 December 2011. ^ Dossier Goa – A Recusa do Sacrifício Inútil. Shvoong.com. ^ "Gangadhar Yashwant Bhandare vs Erasmo Jesus De Sequiria". manupatra. Retrieved 3 June 2009. ^ "Treaty on Recognition of India's Sovereignty over Goa, Daman and Diu, Dadar and Nagar Haveli Amendment, 14 Mar 1975". mea.gov.in. ^ "Colonial Voyage – Tangasseri". Mathrubhumi. Retrieved 9 January 2014. ^ "Tangasseri – OOCITIES". OOCITIES. Retrieved 9 January 2014. ^ "Archaeological site and remains". Archaeological Survey of India – Thrissur Circle. Retrieved 9 January 2014. ^ "A brief history of Tangasseri". Rotary Club of Tangasseri. Archived from the original on 22 November 2013. Retrieved 9 January 2014. Andrada (undated). The Life of Dom John de Castro: The Fourth Vice Roy of India. Jacinto Freire de Andrada. Translated into English by Peter Wyche. (1664). Henry Herrington, New Exchange, London. Facsimile edition (1994) AES Reprint, New Delhi. ISBN 81-206-0900-X. Priolkar, A. K. The Goa Inquisition (Bombay, 1961). Wikimedia Commons has media related to Portuguese rule in India. ColonialVoyage.com – History of the Portuguese and the Dutch in Ceylon, India, Malacca, Bengal, Formosa, Africa, Brazil.